Wednesday was too busy to do much gardening, although the garden is where I would like to be these days. In the morning there was just a tiny tip of color on the Iris ger. 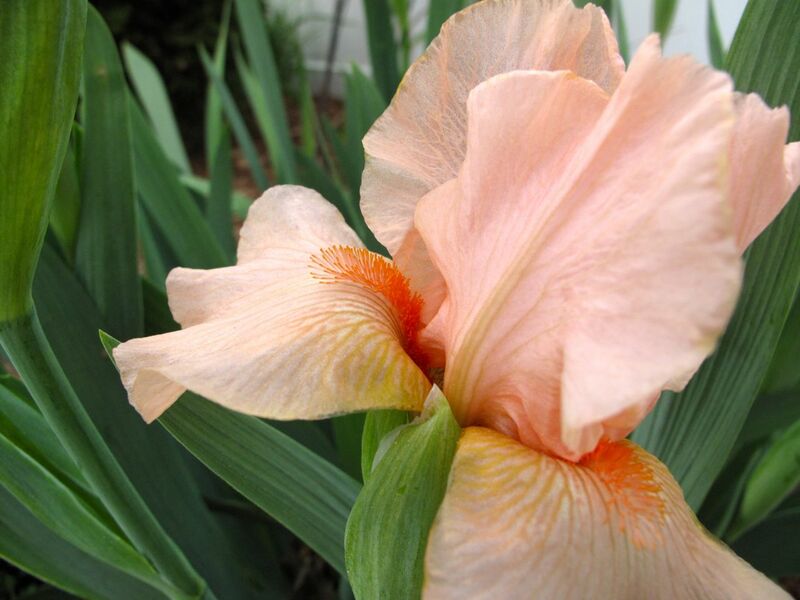 ‘Raspberry Blush.’ By evening when there was time to take a break, I discovered iris season is underway. 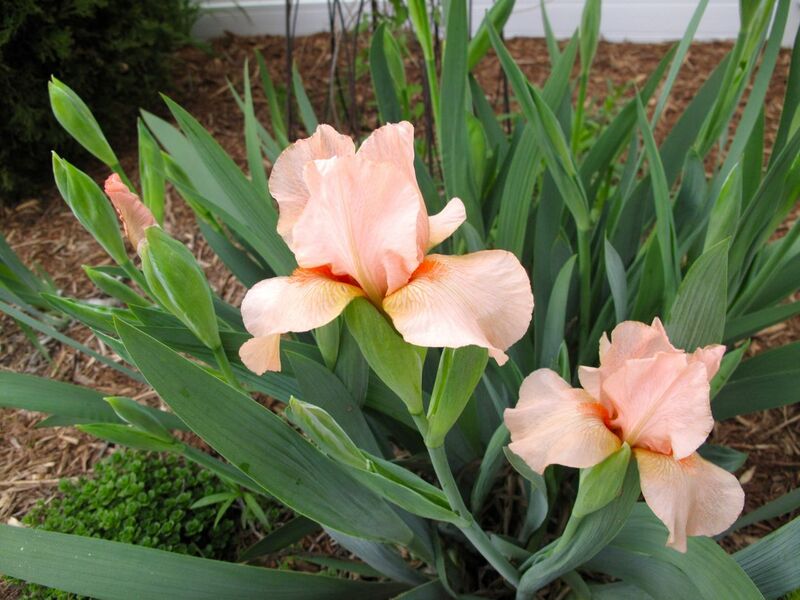 This entry was posted in garden and tagged Iris germanica on April 18, 2013 by pbmgarden. I think you’d enjoy it Cathy. Beautiful, such a delicate colour, ours should appear in about 3 weeks as long as the mild weather continues. My other irises are all pass-alongs and last year I decided to finally add another color. It is very delicate. Is Iris ‘Raspberry Blush’ a low growing one? Yes, Jamie, it is rather low. Thanks! I usually go for blues, but glad I found this one. I’ll look forward to seeing yours too Christina. How absolutely wonderful…lovely spring color. This time of year is so interesting and satisfying in the garden, isn’t it? So luscious. I particularly like the low growing nature of this flower. Thanks for sharing. It is very compact, although i didn’t know it when I bought it last year. Thanks, the first irises are always so special. It is indeed iris season! My first ones started blooming this week as well. I have a number of pass-along ones that are blooming for the first time in my garden, so while I have no idea of the cultivar names, each day I receive a new surprise when these new buds finally unfurl and I see the blossoms for the first time. I have a dwarf bearded that is blue and yellow, a very tall purple-blue on wiry stems, a really fat violet-purple that is about to unfurl, and my beloved white ones are about to burst open. What delight. Oh, you’re lucky indeed! They sounded wonderful! Wish you could see it in person. The color is so pretty. Always love iris. Is this one a re-bloomer? I’m looking for a new re-bloomer. Sadly, no it does not rebloom. I have a ‘Batik’ German Iris that does. Next time I purchase iris I also will look for reblooming ones.